"Safe Shooting Education -- Our Only Purpose"
Every Tuesday, September through March at 7:00 PM. The Junior Rifle Program starts with a 6 week instructional class emphasizing safety and marksmanship basics for new shooters. This class begins the week after Labor Day in September. Additional coaching and practice are available every Tuesday night through March after the 6 week class concludes. Focus is on Juniors (age 12 and older). Parents may take the class with thier child. Adult shooters wishing to improve thier skills can also participate (class size permitting). Rifles are .22 caliber target rifles which are sized for youth through adult. You do not have to be a club member to take this course. NRA Certified Instructors lead the program. A charge of $10 for the 6 week class includes an instruction book, ammunition and all needed equipment. A charge of $3 per week for ammunition and targets after the 6 week class concludes. Call Miles Ford (412-833-0813) or Chuck Augenstein (724-941-0288) for more information. Other instructors include Alan Jaworski and Dave Willard. 3rd Sunday each month, January through October at 11:00 AM. The Club will furnish an M1 Garand for your use or you may use any service rifle, open sights with clip or magazine feed. New shooters are required to attend an orientation meeting at 9:00 AM on match procedure and M1 operation. Led by Bruce Ungar (412) 343-2256. If weather is questionable, call before going to clubhouse. 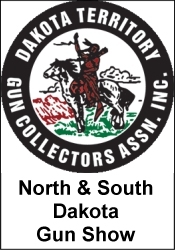 This match is held outdoors on the Rifle Range on the first Saturday of each month beginning at 9:00AM starting in April and continuing through November. The match is led by John Tupta (724) 941-1494. NRA High Power Rules will apply to the firing of these qualification matches. Any center fire rifle with metallic sights and a magazine capable of holding not less than five (5) rounds or service rifles may be used to qualify for Marksman, Sharpshooter and Expert ratings. The entry fee ($6.00) includes a complete set of required targets. The course of fire consists of fifty (50) rounds shot at 200 yards using targets for a course of fire at 200 yards, and simulate 300 and 600 yard targets. Ten (10) rounds are fired from the standing position in ten minutes, slow fire at a distance of 200 yards. Ten (10) rounds are fired from a sitting or kneeling position (starting from a standing position) in 60 seconds, rapid fire, at a 200 yard target. Ten (10) rounds are fired from a prone position (starting from a standing position) in 70 seconds, at a target which simulates 300 yards. Twenty (20) rounds are fired from a prone position in 20 minutes, at a target which simulates 600 yards. In order to qualify for a NRA classification, the shooter must be a member of the NRA. Five matches must be shot in order to qualify. Come out and join us, whether you intend to qualify or not. We have shooters of all skill levels, and we shoot rain or shine. Smallbore position rifle practice every Sunday evening September through April at 6:00 PM (unless there is a 4:30 Steeler game in which case there is no practice.) Any sights on .22 caliber rifles are acceptable. Targets are available. Anyone with interest in smallbore rifle shooting is welcome to come out to practice and shoot with the team. League matches start in October. The Dormont-Mt. Lebanon team participates in matches every Wednesday evening home or away. Led by Dean Trew (724) 239-3012 and Matt Piatt (724) 263-6253. Sight-In will be on the third Sunday in November from 9:00 AM to 2:00 PM. Bore sighting will be available if needed prior to range firing. There will be a $3.00 fee per gun and, as in the past, all proceeds will be donated to a charity in the Club's name. For additional information, contact Bob Kirsopp (724) 348-5033. Twice each year, in June and November, a marksmanship contest for antique centerfire military rifles will be held. Any centerfire original military rifle with original open sights, no scopes, manufactured prior to January 1, 1946 and in safe shooting condition. Semi-autos, muzzle loaders or replicas are not permitted. The course of fire will be 50 rounds total at 100 yards using standard SR-1 and SR-21 targets. The course is broken down into 10 rounds off-hand, one round at a time in 10 minutes, 10 rounds kneeling/sitting from standing command in 70 seconds (for magazine equiped bolt action or one round at a time loading) or 120 seconds (for trap-door Springfields), 10 rounds prone from standing command in 70/120 seconds (as above), 20 rounds slowfire in 20 minutes, prone position loading one round at a time. This event is open to all, 16 years of age and older. A $5.00 fee includes targets only, you must furnish your own ammo. Dust off that old '03 Springfield, Mauser, Enfield, LaBelle, MAS M36, Trapdoor, etc. and join us in this fun shoot. Led by Bruce Ungar (412) 343-2256.